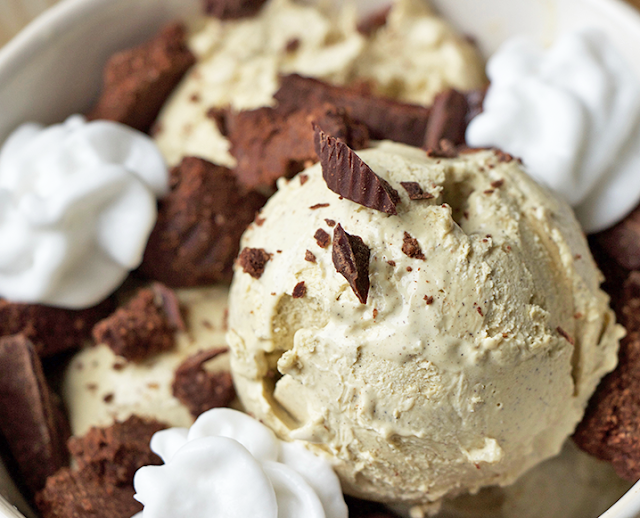 Let ice cream get soft & blend with Cool Coffee. Put in serving dishes & refreeze for 3 hours. Take out and make an indent in ice cream and place Brandy in that spot. Re Freeze for another hour. Take out before serving and Add whipped cream & chocolate shaving.